Saudi Arabia’s involvement in Lebanese politics — notably its political crisis of November 2017 — is simply a matter of “relationship ups and downs,” Lebanese Deputy Prime Minister Ghassan Hasbani said at the World Economic Forum on Monday. Speaking to CNBC in Davos, Switzerland, the deputy leader had far more positive things to say about the Sunni kingdom than some of his other government counterparts, who have accused it of aggression and interference. Lebanon was rocked by political chaos late last year after its Prime Minister Saad Hariri announced his resignation from the Saudi capital of Riyadh, in a move many observers believe was forced by the Saudi kingdom. Hariri later rescinded his resignation, returning to a country far more united in support for their prime minister than ever before. “This is not an intervention … as much as a relationship situation, whereby this relationship had its ups and downs, depending on the rhetoric that comes out of certain parties in Lebanon,” Hasbani said. He explained the events were triggered by what he described as “strong negative rhetoric” against Gulf countries from Shia militant and political group Hezbollah, which is the strongest wing of Lebanon’s coalition government. “That caused a lot of discontent in the relationship,” Hasbani added, stressing that much of Lebanon’s economic stability is credited to Saudi Arabia and its fellow Gulf countries, which provide the vast majority of Lebanon’s foreign investment. The weeks-long crisis was seen as a manifestation of the intensifying proxy war between Sunni-majority Saudi Arabia and Shia-dominated Iran. Saudi Arabia’s efforts are part of its campaign to isolate Hezbollah — which is financially supported by Iran — and freeze its involvement in regional conflicts in which the Sunni kingdom has interests, like Yemen and Syria. Hariri, a Sunni Muslim and Saudi citizen, had reached a political compromise in 2016 granting Hezbollah military autonomy. This, experts say, was the likely catalyst for Saudi Arabia’s involvement. A diverse country of 18 different religious groups, Lebanon’s fragile political system is based on power-sharing between Sunnis, Shiites and Christians. This often results in a fractured and gridlocked government and society, most vividly manifested in a bloody 15-year civil war that only ended in 1990. 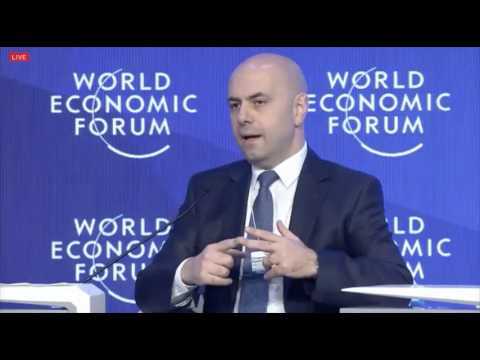 “Hasbani is the former chief executive officer of the International Operations of Saudi Telecom Company (2010–2012) and the former partner- in- charge of the Communication and Technology practice of Booz & Company in the Middle East. He is currently the CEO of Graycoats, a leading management consultancy firm.